When I first heard of the powerbank I was like, "meh". Its that expensive? Don't need it. That was because I was still using my trusty old nokia 5800 since my phone magically dissappeared last year. lol. So I was stuck with using my 5 years old nokia. Now that I had bought new phone for myself, it suddenly occur to me how desperately I need powerbank for myself. So, few weeks back I stumble upon great deals via milkadeal on the powerbank. My heart blossoms like thousands and thousands of sakura. What is a powerbank, you may ask? A Powerbank is a fashionably small designed, portable, stand alone charger. It is like a battery for you battery. lol get it? It can be charged for more than 500 cycle and can act as a contingency use. E.g, anywhere with no power supply to charge your phone. Even if there's no internet lines, or coverage, you still want to play game right? - Environmental friendliness and economic efficiency. Powerbank can be quite expensive. Some dealers even sale a small 11400mAh for Rm1xx. With milkadeal, you can get a 30000mAh for just RM118! whhat?! Sounds impossible right? Well, with milkadeal every deal is possible. I was going to share it with you guys few weeks back but I wanted to wait until I receive the item to prove to you guys how reliably secure and trusted the dealer/milkadeal is. I bought white colour for myself. Matched with my battery consuming phone. Came in a package like this. #1 Bubble wrapped for safety purposes, I guess. #3 You can guess the size by comparing it to my hand there, I think it weigh around 5g. #6 Back view. Its China made. A friend actually bought one for herself before I did and it worked fine. So I don't have any comments regarding the "made from" stamp. I grew up with the white rabbit candy (made in china), I'm still alive today so, hooray!. #7 These were all the stuffs inside the package. #8 Comes with 8 plugs, 1 USB. Iphone 5 (Lightning) not included. Milkadeal is now having another powerbank deal. 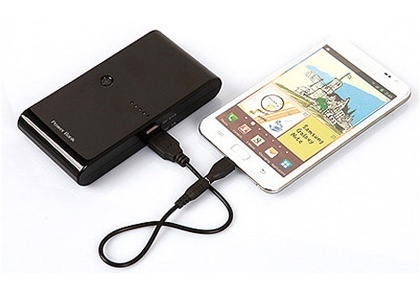 [Up to 78% OFF] 30,000mAh Dual-Port Powerbank with 1-Year Warranty worth RM490 from Tan Meng Yen Enterprise. Buy 1 for RM118 or 2 for RM216. Available in 5 colors; Pink, Blue, Green, White, Black. They also have other deal like this one. [up to 73% OFF] RM99 for 20,000mAh Powerbank worth RM368 from Nux Deal + 1 Year Warranty. Cheaper but with a smaller mAh. I just bought another 2 more Powerbank for my friends. Just know that every item purchased is excluding postage. Don't waste any more time, 30000mAh deal ends tomorrow 03/04/2013! But, there's always another deal in the future. Subscribe and you'll be notified daily! 1. Do research on the dealer. Some dealer might sale fake product. Especially make up and skin care product. Cheap doesn't mean its original. 2. Always read the terms and condition. 3. Check their emails. Some blacklisted dealer is known to create new ID for themselves but still uses the same email. 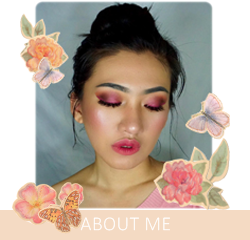 Want to check out milkadeal for yourself? Sign up here for daily updates, deals and offers. Already a milkadeal member? Tell me about your experience (and favorite product) in the comments. You should open up crack the power bank,see whats inside its a 'sand-technologies' of China electronic device.Its fake 30,000mah.Do tell your friends dont buy this.Such a waste of money.This is only 4000-5600mah capacity not 30,000mah as written on its back label.